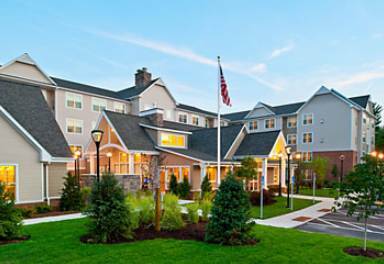 The Residence Inn by Marriott Concord, NH is the newest hotel in the Concord area. This extended-stay hotel offers relaxing homelike surroundings to help guests feel connected while away from home. The Residence Inn Concord, near Bow, NH features fully equipped spacious suites that are 50% larger than traditional hotel rooms complete with flat screen TVs. Located off I-93 N/S, the Residence Inn Concord is only minutes from the McAulliffe-Shepard Discovery Center, Cranmore Ski Resort, Capitol Center for the Arts and within 40 miles of the best White Mountain ski resorts. The Residence Inn by Marriott Concord hotel is also within a short ride of the Manchester/Boston Regional Airport. If you're visiting New Hampshire for business or pleasure including hiking, skiing, golfing or factory store outlet shopping, the Residence Inn Concord is the perfect location for you!